power cable adapter, barrel jack to tinned wiresWire, Black, 6 in, 10 pcs. 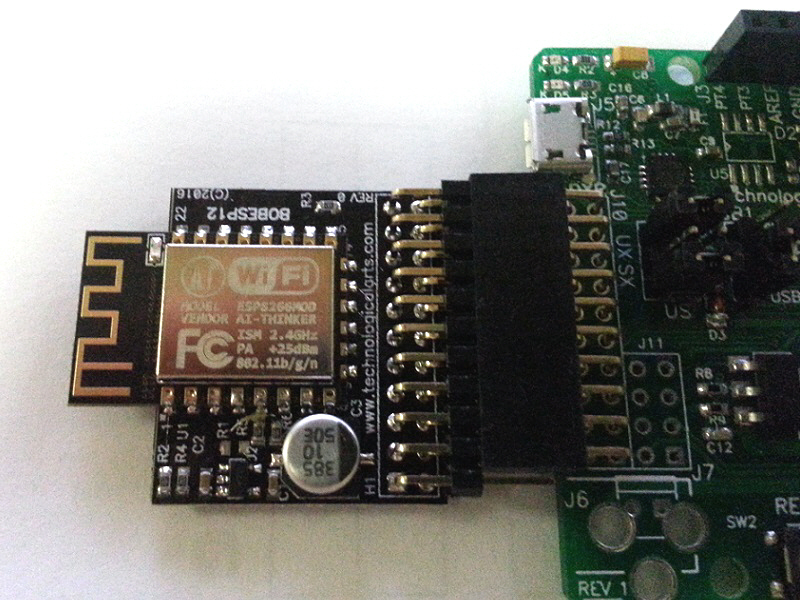 ESP12 modules are low-cost popular modules for adding WiFi to embedded projects to implement Iot, but the surface-mount modules are a little difficult to work with. BOBESP12 is designed to solve this problem. 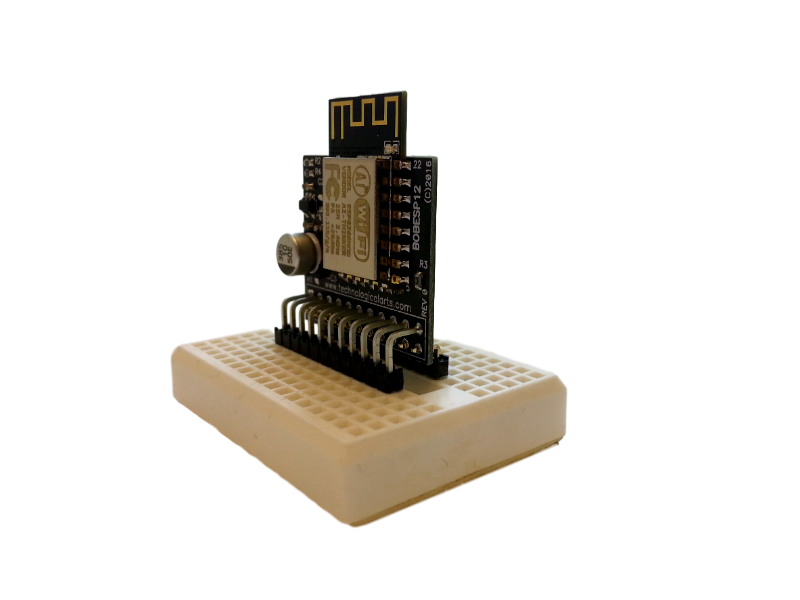 This product follows our trademark vertical design approach for breadboard adapters, leaving the breadboard tie-points readily accessible (when ordered with SB connector option). 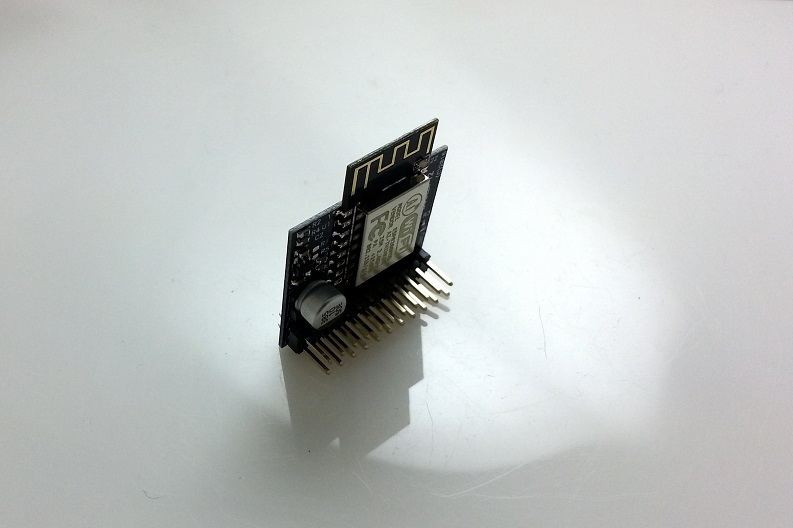 In addition to the ESP12 WiFi module, the board includes a 3.3V regulator, filter capacitors, and pullup resistors. It can be used in either a 5-Volt or 3.3-Volt system. The standard connector style is "SB", which has a 22-pin narrow DIP footprint. However, it can be ordered with some of our other standard connector options instead, if you prefer. 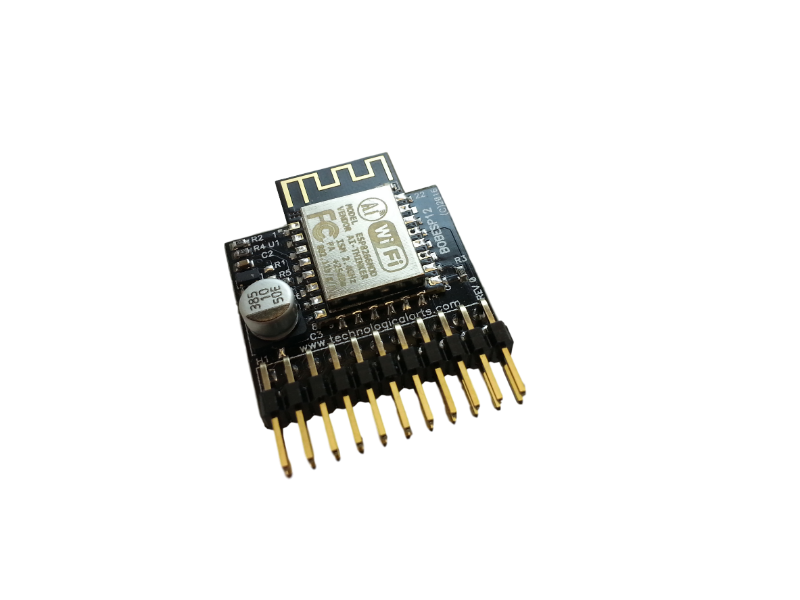 Select the either the RA or M1 connector option if you want to use it with Esduino or EsduinoXtreme (you'll need to solder a mating HDR20-FRA connector onto your Esduino/Xtreme). 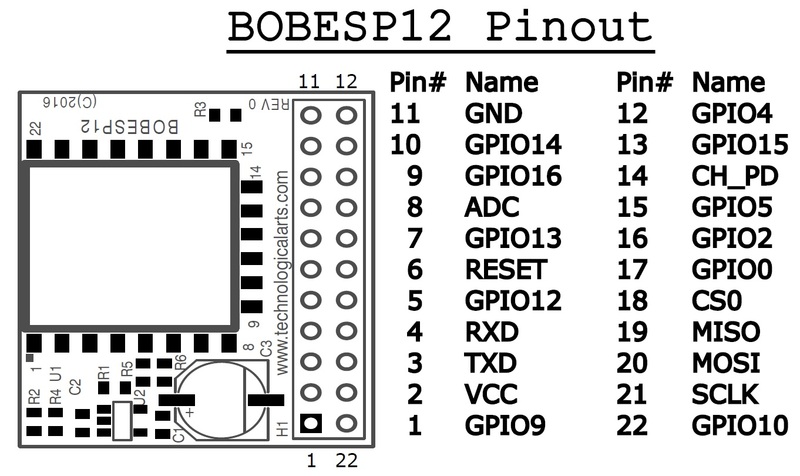 Note that only 20 pins are required for interface to Esduino/Xtreme (pins 1 and 22 must be left unconnected, leaving the remaining 20 pins of the header interfacing to the 20-pin header on Esduino). 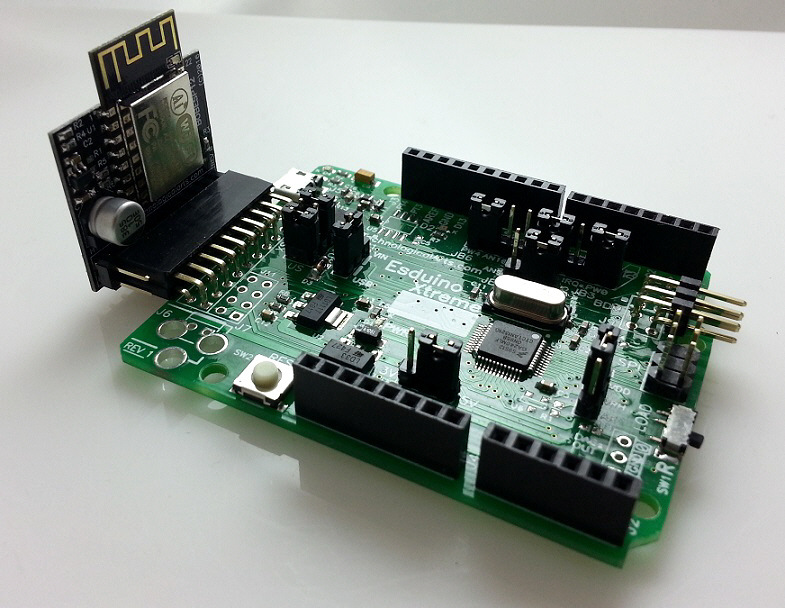 For standalone breadboard use, our USB2NCT interface provides a convenient way to interface the module to the USB port of your PC. Connector styles are similar to those available on MicroStamp11, but some styles are not offered for BOBESP12. Click here to see what they look like.